Animal rights group Viva! 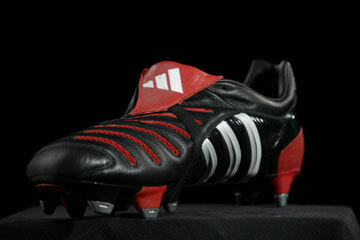 is targeting David Beckham for wearing Adidas soccer shoe Predator Pulse. Apparently, the pulse is coming from kangaroo leather! The activists are staging protests around the globe in the hope that Adidas and soccer stars like Beckham will change their practices. According to Viva, Adidas is the largest buyer of kangaroo leather, which is described as light and supple, making it ideal for soccer shoes. However, Adidas isn’t alone. Other shoemakers using the leather include Nike, Umbro and Mizuno. Viva says that red kangaroo numbers have fallen from 17 million to under 8 million and eastern greys have dropped from 30 million to 11 million. The group has been campaigning against Adidas and Beckham for years to no avail. The Sunday Times in London yesterday reported that a representative for Beckham said “he was guided by Adidas on the humane killing of kangaroos but would consider evidence compiled by Viva!” Maybe this story about Lu Lu the life-saving Kangaroo will help warm their hearts.